Swedens only magazine solely dedicated to writing about beer, c/o Hops approached me with an illustration request to one of their chronicles. The writer and commissioned portrait was the one of swedens beloved television and radio profile, Edward Blom. 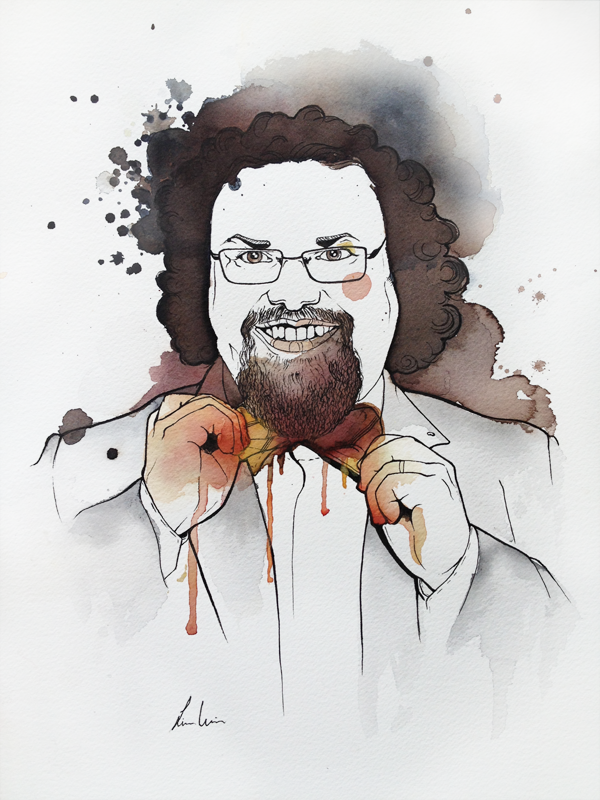 I really enjoyed making this portrait, especially when involving such fun elements as hands and a bow tie. Hands who once where such an absolute pain portraying is really now one of my favorite things to do. You can buy the issue here. All images and content © Linda Weissman. All rights reserved.